Tagaytay, officially and commonly called Tagaytay City, (Filipino: Lungsod ng Tagaytay), is a component city in the province of Cavite, in the Philippines. It is one of the country's most popular tourist destinations because of its outstanding scenery and cooler climate provided by its high altitude. Tagaytay overlooks Taal Lake in Batangas and provides views of Taal Volcano Island in the middle of the lake through various vantage points situated in the city. Tagaytay is relatively close to the capital city of Manila, only 59 kilometres (37 mi) away via Aguinaldo Highway, providing an easy escape for the locals from the heat of the huge metropolis. Tagaytay has a total land area of 66.1 km2 (26 sq mi) which represents about 4.37% of the total area of the Province of Cavite. It lies within 120° 56' longitude and 14° 6' latitude and overlooks Manila Bay to the North, Taal Volcano and Lake to the south and Laguna de Bay to the east. The southern and eastern portions of Tagaytay are covered by hills and mountains which is generally forests and open grasslands. 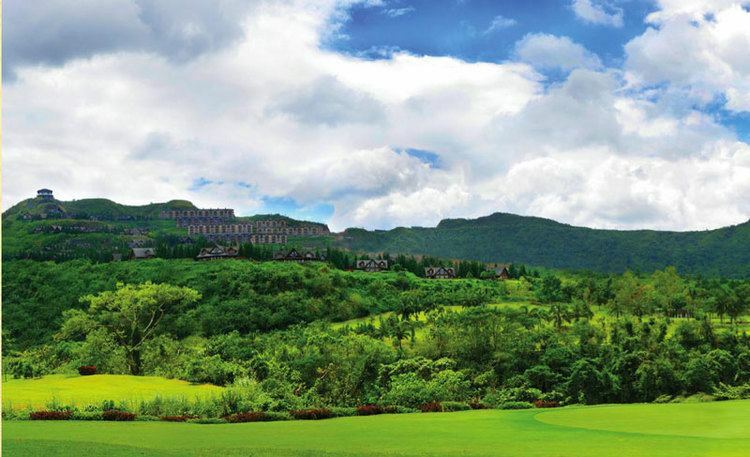 The city lies along Tagaytay Ridge, a ridge stretching about 32 kilometres (20 mi) from Mount Batulao in the west to Mount Sungay (now People's Park in the Sky) in the east with elevations averaging about 610 metres (2,000 ft) above sea level. Mount Sungay, in Tagaytay, is the highest point of the province of Cavite at 709 metres (2,326 ft). 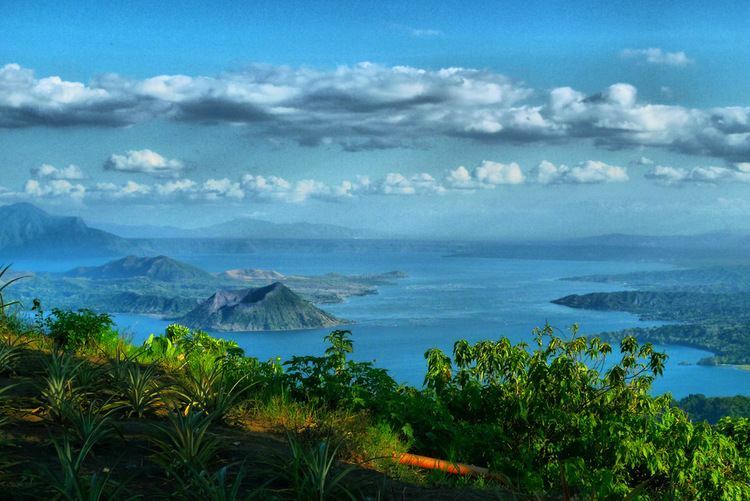 The ridge, which overlooks Taal Lake in Batangas province, is the edge of Taal Caldera. The 25-by-30-kilometre (16 mi × 19 mi) wide cavity is partially filled by Taal Lake. Tagaytay's built-up areas including the urban center is situated in the relatively level top of the caldera rim but beyond the edge are deep ravines that drop steeply to Taal Lake. The portions adjoining the municipalities of Mendez, Indang, Amadeo, Silang and Alfonso are level to nearly level areas interspersed with very gently sloping surface. Across the southern edge of the lake on the opposite side of the city is Mount Macolod, the highest point of the Taal Caldera rim. Tagaytay has a more moderate version of a tropical monsoon climate (Köppen climate classification: Am) characterized by relatively milder temperatures compared to Manila, lower humidity and abundant rainfall. The city has an average temperature of 24 °C (75 °F). With its high elevation, the city could be misty at times and is relatively cooler during the months of December, January and February. Like most areas in the province of Cavite, the city has two pronounced seasons: dry from November to April and wet during the rest of the year. The climate has made the city ideal for sports, picnics, conferences, honeymoons, country homes, and spiritual retreats. Tagaytay has an average humidity of 78% which makes the city cooler than Metro Manila where relative humidity exceeds 81%. Northeasterly winds prevail in the City from October to April. Winds come from southwest from May to September. The cool Tagaytay breeze has made the city ideal for casual and competitive kite flying. Tagaytay is administratively subdivided into 34 barangays. 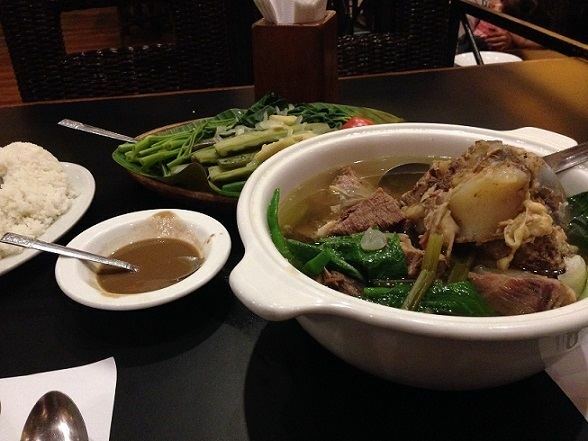 Legend has it that the word Tagaytay came from "taga" meaning to cut and "itay" which means father. A father and son were said to be on a wild boar hunt when the animal they were chasing turned and attacked them. As the boar charged towards the old man, the son cried "taga itay!". The boy's repeated shout reverberated in the alleys of the ridge. Heard by the residents, hunters and wood gatherers, the cries became subject of conversation for several days in the countryside. 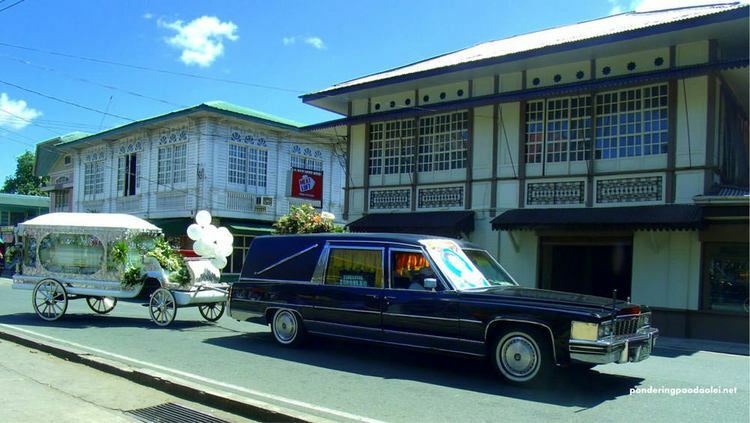 In time, the place where the shouts came from became known as Tagaytay. "Tagaytay", however, is Tagalog for "ridge". During the Philippine revolution of 1896, the ridges and forests of Tagaytay became the sanctuary for revolutionaries including those from nearby provinces. The passage to and from towns via Tagaytay added the word "mananagaytay" to the native's vocabulary. It means "to traverse ridges." On February 3, 1945, the 11th Airborne Division of Lt. Gen. Robert L. Eichelberger's 8th Army performed a combat jump of the 511th Parachute Infantry Regiment and associated elements on the ridge, with a drop zone around the Manila Hotel Annex, which had been cleared of Japanese forces by Filipino soldiers of the 4th, 41st, 42nd, 43rd, 45th and 46th Infantry Division of the Philippine Commonwealth Army, 4th Infantry Regiment of the Philippine Constabulary and recognized guerillas. To commemorate this event, a marker was installed in 1951 at the junction of Silang, Canlubang-Nasugbu roads by the city officials in coordination with the National Historical Institute of the Philippines. Tagaytay became a chartered city with the passing and signing of Commonwealth Act no. 338 by President Manuel L. Quezon on January 21, 1938, as authored by Rep. Justiniano Montano of Cavite. Like Trece Martires, it is a planned city, with segments created from the towns of Mendez, Silang and Amadeo. In the 2015 census, the population of Tagaytay, was 71,181 people, with a density of 1,100 inhabitants per square kilometre or 2,800 inhabitants per square mile. In the 2010 census, Tagaytay had a population of 62,030 people. Christianity is the majority religion of Tagaytayeños with Roman Catholicism as the most dominant sect compromising of 95.36 percent of the total population. The next prominent sect among residents of Tagaytay are Iglesia ni Cristo (3.37%) and Protestantism (1.07%). The rest of the population (0.20%) subscribes to other religions. Tagalog is the most dominant language in the city with 93.58% of the population speaking the language. The next prominent Philippine languages are Bicolano (1.52%), Ilocano (1.52%), and Cebuano (1.00%). Despite rapid urbanization of Tagaytay, agriculture remains an important part of the city's economy and development. As of 2009, it is recorded that there is about 1,292 hectares (3,190 acres) of agriculture land which is about 20 percent of the city's total land area. The main agricultural goods produced are pineapple, coffee, banana, root crops, other fruits and vegetables, and cut flowers which are supplied to both local and international markets. Tagaytay is considered to be the second Summer capital of the Philippines with the first being Baguio due to its cool climate thus is a favored destination from those relatively more humid areas of the Philippines. Tagaytay is also a popular destination for tourists seeking a panoramic view of Taal Volcano and the surrounding lake. In 2015, the Department of Tourism cites Tagaytay as the top tourist destination in the Calabarzon region through the years. 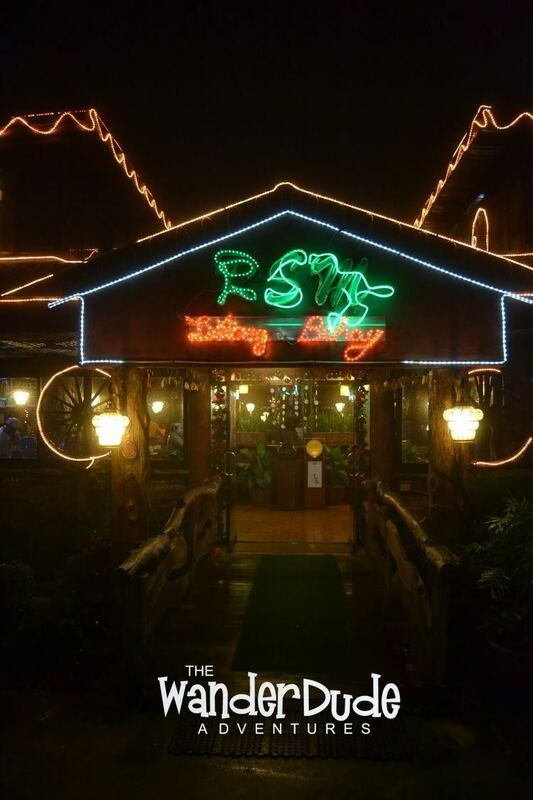 Among the most visited sites in Tagaytay are the SM Sky Ranch Amusement Park, Ayala Malls Serin, Robinsons Summit Ridge, Picnic Grove Complex, People's Park in the Sky and Different choices of Restaurants like the famous Antiques Bar at Tagaytay Rotonda. Tagaytay's proximity to Metro Manila is attributed to the tourism in the city. Tagaytay receives seasonal influx of tourists during the Christmas season. Tagaytay is linked by national highways to the Metro Manila area and to the provinces of Batangas and Laguna. Secondary roads link the city with the adjoining municipalities of Amadeo, Mendez, Indang, Silang and Alfonso in Cavite towards the northwest, and to the cities of Calamba and Santa Rosa in Laguna in the northeast and to the town of Talisay in Batangas in the south. The South Luzon Expressway serves the city via Santa Rosa-Tagaytay Road that passes Santa Rosa and Silang from Santa Rosa and Eton City-ABI-Greenfield Exits and Tagaytay-Calamba Road that passes Tagaytay Highlands and Calamba Premiere International Park from Batino Exit. Manila-Cavite Expressway (CAVITEX or formerly, Coastal Road) also serves Tagaytay via the southbound Aguinaldo Highway. The future expressway to Tagaytay is Cavite-Tagaytay-Batangas Expressway (CTBEx) connects with the proposed Cavite-Laguna Expressway from CAVITEx-Kawit up to SLEx-Mamplasan. CTBEx and CALAx also connects with an interchange at Aguinaldo Highway in the future for easier travel of tourists coming from Metro Manila. From Batangas, the main route to Tagaytay is either Ligaya Drive, a winding road that starts near the poblacion of Talisay and ends near the Tagaytay Picnic Grove, or Talisay-Tagaytay Road, a 12-kilometre (7.5 mi) road from Lemery-Agoncillo-Laurel-Talisay Road to Tagaytay Rotunda. From Laguna, the main route is the Santa Rosa-Tagaytay Road from Santa Rosa City and the another route is Tagaytay-Calamba Road (via Tagaytay Highlands) from Calamba Premiere International Park at Calamba City. There are daily public buses that ply the route to Tagaytay from Manila. Several bus companies have their terminals in Cubao, EDSA, Pasay, and at Baclaran, beside Coastal Mall Integrated Provincial Bus Terminal below LRT, Manila. Jeepneys that ply from Cavite (Imus City, Dasmariñas City, Silang) to Nasugbu, Batangas also pass by Tagaytay via the Aguinaldo Highway.